The war divided into phases roughly aligned to the political events. By this time Zambia was independent and offered a safe haven to both ZAPU and ZANU. The movements sought to send in groups to propagate the revolution on the unsophisticated assumption that the African people were ready to rise and assist them in driving out the whites. ZAPU in particular was dealt an almost fatal blow by making the mistake of seeking to create base areas in wild country from which to sally out. In transit to these areas, the infiltrators had to cross the harsh Zambezi Valley where the Tonga people were inhospitable to them. Their tracks and their bases were found and attacked or the infiltrators intercepted by the Rhodesian security forces. The completeness of their defeat depressed the insurgents' morale while it gave the Rhodesian security forces solid grounding in joint-service operations through the JOC system of command and control which maximized local effort even if there was more incoherence at higher levels. It also allowed the honing of small unit tactics with the four man 'stick' or half-section being adopted as the basic formation. One reason was that four was the number that the Alouette III helicopter could carry. Each 'stick' was commanded by a corporal carrying a VHF radio and an FN 7.62mm rifle (NATO). The corporal had under him an MAG general purpose machine-gunner and two riflemen, one of whom trained as a medic. 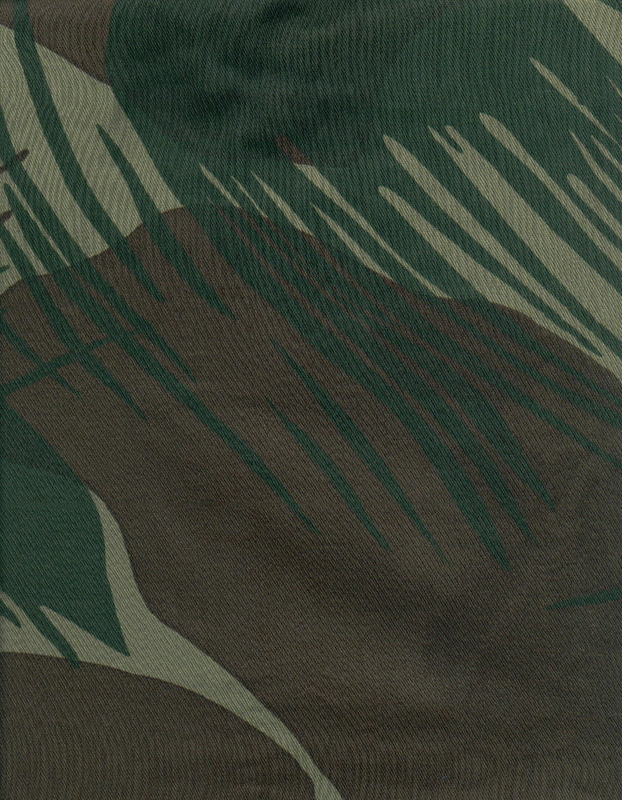 Out in the bush, the corporal had an autonomy and responsibilities not known in many armies at that level. It was a 'Corporal's War' for he had immediate command on the ground and took the initiative in many instances. The Rhodesians developed tracking skills, devising the tracker combat units of four to five men. They improved their air-to-ground co-operation and communication - in the process abandoning the plodding Army radio procedure. They went over the border to assist the Portuguese with FRELIMO and to stop ZANLA infiltration south of the Zambezi. The Rhodesian Government made the mistake in this initial phase of the war of failing to expand the Army with additional African infantry battalions. By 1979 there were only three and the last one had barely been formed. There were always more African recruits than could be accommodated, and the additional battalions could have lessened the call-up factor on white morale. These battalions would have needed white officers but there was much unused white leadership potential in the white units. The Rhodesian security forces were also lulled into thinking that their opponents would always conduct the insurgency in such a direct manner. Thus they were ill-prepared in that respect for what was to come. These were good years for Rhodesians, however. They were winning all the battles and countering sanctions. Exploiting the atmosphere of heightened political agitation after the African rejection of the Anglo-Rhodesian settlement of 1972 and FRELIMO's success against the Portuguese south of the Zambezi, ZANLA penetrated the north-eastern area where the tribal reserves were close to the border. FRELIMO gave ZANLA what logistical support it could and had offered the same to ZIPRA but Nkomo was not interested. ZANLA made careful preparation for their coming campaign: politicizing the rural people in their Maoist fashion, establishing local committees, contact men, feeders, security procedures, and infiltration and exit routes. They recruited porters, cached arms and the like. They divided the country into provinces, named after the adjacent Mozambique provinces, and sectors named after tribal heroic figures. Their basic unit was a section of ten to twelve men, including a political commissar, who would establish a dozen or more base camps in an area in order to keep on the move. The units, assembling in nearby Mozambique in groups of 20-30, would only infiltrate when the subverted area had been prepared and contact men were in place. ZANLA eschewed centralization of command, perhaps, because it was impractical. The unit commanders were chosen and dismissed by popular vote at section, detachment, sector and provincial level. Communications were by courier and letter (a system which the Rhodesians would exploit). A section would have a wide area to exploit, visiting a circle of base camps in turn to politicize the nearby population, to feed, and to plan attacks on local targets. In order not to frighten recruits, Rhodesian firepower was not discussed. Thus a first contact could be traumatic to the new cadres and contributed to their poor performance in fire fights. Having established a presence, the ZANU cadres (led by Rex Nhongo) attacked a white farm, Altena Farm, on 23 December 1972. The Rhodesians were now confronted with the problem of their enemy living among their own kind. The response had many facets. The system of joint command was tested and improved by psychological warfare was neglected. Perhaps this was because the war could not be won while the whites were in political control. In addition, the Rhodesians did not understand just how serious ZANLA's penetration of the north-east was and were slow to evolve a counter-insurgency strategy. Nevertheless, Rhodesians had fought in Malaya and adopted a lesson learnt there and in Kenya. The rural people were moved into protected villages, designed to cut the insurgents off from their supplies of food and comfort and to encourage the loyalty of the rural people by protecting them and providing them with new services. These villages were never adequately policed or protected and the people were not involved in their management or persuaded of their necessity. The chronic shortage of finance precluded proper development of the villages. They were often constructed too far from the peasants' fields and most important of all took the people away from the burial sites of their ancestors which they venerated. A key factor which was ignored was that in Malaya the concept had worked because it protected a Malayan majority against a Chinese minority, whereas in Rhodesia the insurgents were sons of the village. A further mistake was not to start by establishing the PVs in the less affected areas rather than the most subverted. Attempts at food control were by and large ineffective and in later years would include the use of defoliants on crops in areas from which the peasants had been removed. So inadequate was the administration of the PVs that ZANLA often used them as places of safe haven. The PV system was dismantled in 1978 as a political move designed to boost the reputation of Bishop Muzorewa. Entrusted with the intelligence function the police, with the assistance of Internal Affairs, sought to uncover the identity of the insurgents, using uniformed and plain-clothed men. The Army cross-grained the countryside looking for tracks; ambushed infiltration routes; and evolved the concept of Fire Force in 1974. Fire Force, using helicopters, back-up vehicles and support troops, was an expensive tool but it soon yielded impressive results. 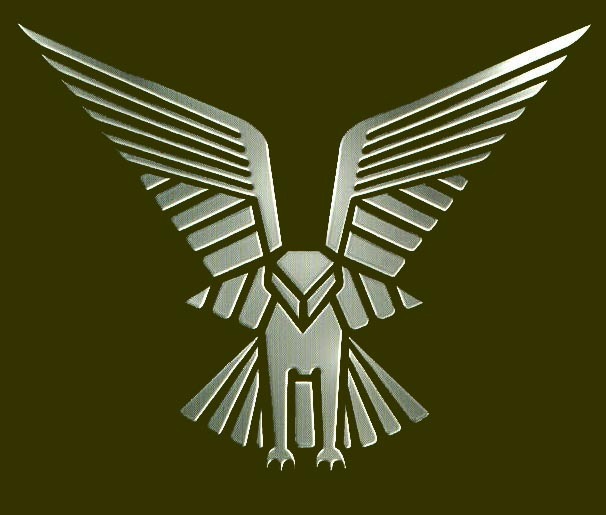 The special forces had two initial roles: the SAS went over the border to find incoming groups and supplies; while the new and highly secret Selous Scouts began to develop the art of pseudo warfare, using disguises to penetrate ZANLA groups and eliminate them or to guide Fire Force to them. The Army began to lay a barrier of mines along the border to deter infiltration or at least to channel it. At fist it laid a classical border minefield 25 meters wide but, because there were not enough troops to dominate it or at least monitor it, the concept was changed to a width of anything between 8 - 30 kilometers with pressure mines supplementing ploughshares. Eventually the length was 1 400 kilometers, the longest military obstacle in the world outside the Great Wall of China. The minefield had its critics and has left a terrible legacy to Zimbabwe but ZANLA was to estimate that it had suffered 8 000 casualties in transit across the mines. ZANLA (and ZIPRA to a certain extent), tried to paralyze the Rhodesian effort and economy by planting Soviet anti-tank landmines in the roads. From 1972-1980 there were 2 504 vehicle detonations of landmines (mainly Soviet TM46s), killing 632 people and injuring 4 410. The mining of roads increased as the war intensified; indeed the increase from 1978 (894 mines or 2.44 mines were detonated or recovered a day) by 233.7% in 1979 (2 089 mines or 5.72 mines a day). In response, the Rhodesians co-operated with the South Africans to develop a range of mine protected vehicles. They began by replacing air in tires with water which absorbed some of the blast and reduced the heat of the explosion. They protected the bodies with steel deflector plates, sandbags and mine conveyor belting. V shapes dispersed blast. Deaths in such vehicles became unusual events. The development has led to the remarkable South African Mamba and Nyala wheeled light troop carriers. A Rhodesian engineer invented the Pookie mine detection vehicle - a word first. The Pookie was built out of VW parts and used wide Formula One racing tires (giving light ground pressure) and Milton electronic metal detectors. It traveled ahead of a convoy, detecting mines at speed. In all the Pookie set off only nine mines (some of them command detonated). One operator was killed. 550 mines were detected and disarmed in the open roads. A bicycle mounted version of the Pookie was made for clearing bush airstrips after aircraft hit mines when taxiing. The Soviet advisers sought for nullify the Pookie by switching to non-metallic mines (TMBA 111 bakelite mines). The Rhodesians countered with disinformation claiming that new cylindrically shaped metal detectors could analyze the density of the soil and find the TMBA. The Soviets seemed to be taken in. In fact, the cylindrical shape was designed to reduce vibration. The Air Force refined and improved its cooperation with ground forces - including tracking from the air, spotting camps by tell-tale 'crapping patterns.' It sponsored the production of a singularly lethal range of aircraft weapons - the Frantan, Alpha and Golf bombs and the under-used flechette, and other devices such as radio-activated target markers and the 'road runner' or a bugged portable commercial transistor radio receiver. These were left where the insurgents would acquire them. When the radio as switched off, to listen to aircraft or other noise, the radio transmitted a signal on which Fire Force could home in on. Although by the end of 1974, the Rhodesians and their South African police allies had reduced the number of insurgents to 60 and has confined them to a remote corner in the north-east, the South African Government decided that the game was up and that Smith must be forced into a settlement. The reason was that the military coup in Portugal in April 1974 had brought FRELIMO to power and thereby had given ZANLA the whole of Mozambique as a safe haven. FRELIMO also threatened to cut half of Rhodesia's supply lines to the sea. The South African-driven peace talks and cease-fire in December 1974 failed, the South Africans withdrew their police and the war intensified with ZANLA increasingly using the safe haven of Mozambique which meant they could penetrate the whole of the eastern border. In 1976, after Mozambique had thrown in its lot openly with Mugabe and ZANU, Rhodesia was forced to increase the service commitments of its citizens and to open new brigade operational areas - Operations Thrasher (in the east), Repulse (in the south-east) and to deal with the lesser threat of ZIPRA, now using Botswana, Tangent (in the west). ZANLA spread out among the Shona people attempting to politicise them by fair means or foul. ZIPRA, on the other hand, preferred to recruit fighters and would only exert serious pressure out of Botswana and Zambia in 1977. The increased threat provoked the Rhodesians, in the form of the SAS, Selous Scouts, and, on occasions, other units, to begin raiding guerrilla camps and communications despite South African pressure to keep the war out of Mozambique. The first major raid in August 1976 was on Nyadzonia, a ZANLA camp, where the Selous Scouts in vehicles used subterfuge to penetrate the camp and killed 1 200 inmates. This brought a world outcry and gave Vorster an excuse to pull-out his helicopter pilots and to put pressure on Smith through Kissinger to concede majority rule. External missions, on a lesser scale, continued. Internally, various established techniques were refined. By early 1977 Fire Force had been reinforced by newly trained paratroopers carried in C47 Dakotas to supplement the heliborne troops. New units came into being. 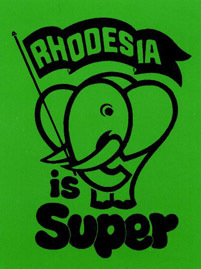 The Rhodesian Intelligence Corps, formed in 1975, supplemented the intelligence effort. Included in its accomplishments was the production of up-to-the-minute combat maps using overlays. The intelligence effort, however, remained too fragmented and too police oriented. A Psychological Warfare Unit was formed, but faced an impossible task until political change had been wrought. The Grey Scouts brought back the mounted infantry tactics of the Boer War which were effective in flat bush country. The Guard Force was formed to defend the spreading protected villages. The economic, political and security difficulties led Smith to attempt to improve the joint service command and control, and to eliminate some of the jealousies therein, by forming in March 1977 a Ministry of Combined Operations placing the civilian and military war effort under a single commander, Lieutenant General Walls. This, and the increasing declaration of martial law in affected districts, did tighten up the war effort. But the move was more a compromise than a rationalization and its success was limited. Supreme command of a counter-insurgency effort in a colony with an executive governor is one thing but in a country with a democratic system is another. Can a military supremo coexist with an elected prime minister? The Rhodesian war effort remained reactive and lacking in a coherent strategy. But then again, the military could only contain the war - any solution had to be a political one. In this period Smith sought and secured the internal political settlement which brought in majority rule, votes for all, and Bishop Muzorewa as Prime Minister. The response from ZANU and ZAPU was an attempt at political and military unity which ended in bitter inter-faction fighting. In addition, ZANLA intensified the war at great cost to themselves. Nkomo's ZIPRA posed the greatest threat in a conventional sense but their base was in Zambia across the Zambezi River. They lacked a bridgehead across the river and had long vulnerable lines of communication. ZANLA had severe logistical problems and lacked the morale, the discipline and the training for positional warfare. Neither force had adequate reserves or air support and, being rivals, when they met in Rhodesia they fought. Within the country, ZIPRA was more difficult to find in the more sparsely populated west. ZIPRA infiltrators, unlike ZANLA, traveled in small groups and carried food, covering great distances without attracting attention because they did not have to visit villages en routes. The Rhodesians suffered not only from the increased fighting but from the loss of manpower as whites began to emigrate at the rate of 2 000 a month. The early failure to expand the African battalions was being rectified but the Security Forces could not expand at a rate to match the growth of the numbers of insurgents and would soon be outnumbered in the field except at times of total mobilization. Protecting 'Vital Asset Ground' containing economic assets such as mines, fuel dumps, factories, key farming areas, bridges, railways and the like. inserting large numbers of auxiliaries into this area to assist in the re-establishment of the civil administration and to destroy the links between the insurgents and their political supporters. They would deny the ground to ZANLA. using the crucial strategic mobility of Fire Force and high density troop operations against ZANLA infested areas. preventing incursions through border control. raiding neighboring countries, particularly Mozambique and Zambia, to disrupt ZANLA's and ZIPRA's command and control, to destroy base facilities, ammunition and food supplies, to harass the reinforcements, and to hamper movement by aerial bombardment, mining and ambushing of routes. The innovation of auxiliary forces loyal to the internal African national parties was a formula for success, a germ of an idea which most of the Rhodesian security establishment did not have the imagination to grasp and instead recoiled at their ill-discipline. The 10 000 auxiliaries, using identical tactics to ZANLA and living amongst the tribesmen, began to deny the insurgents the bush. For the first time the Rhodesians had forces to occupy the ground that the Fire Force was winning. Fire Force became more deadly but the operational demands on the forces were excessive. Paratroopers found themselves jumping operationally every day, with three operational jumps as a record - something no other paratroopers had ever done. When external camps were attacked, the shortage of suitable aircraft, pilots and trained personnel often meant that the attacking forces were seriously outnumbered as has already been mentioned. Many attacks were mounted, even on the outskirts of Lusaka in Zambia. The raiding forces were not yet allowed to strike at economic targets because the Government was loathe to excite the outside world. Most of the external effort was, naturally, reconnaissance by the SAS and two-man teams from the Selous Scouts. But an addendum to these efforts was the sponsoring by the CIO of the anti-FRELIMO resistance movement, the Resistencia National Moçambique (RENAMO), which began to weaken FRELIMO and allow the Rhodesians greater freedom of action. The election of Muzorewa was a stunning defeat for ZANLA and ZIPRA who had ordered the population not to vote only to be defied by a 62% poll of the newly enfranchised population. The Rhodesian security forces mobilized 60 000 men (every man they could muster) to protect the election and to eradicate the threat to it. With the help of South African reinforcements, 230 insurgents were killed in the three days of the election and 650 in all in April. The insurgents went to ground or surrendered. The ZANLA commanders left the country for orders and for six weeks their men did nothing. The war virtually stopped. If, after being elected in May, Margaret Thatcher had stuck to her party's election promise to recognize Muzorewa's election and to support him (as she would Mugabe in 1980), history could have been very different. With popular support at home and legitimacy in international law, Muzorewa's Government might have defeated Mugabe and Nkomo. Thatcher changed her mind, the murders in the tribal areas increased as the insurgents sought to reassert their influence, and the morale of the security forces and the public sank. By this time Mugabe and Nkomo had entered a marriage of convenience for the purposes of the conference and to overthrow Muzorewa. Their unity had long been pressed on them by the OAU and the aid donors. Yet their armies, ZANLA and ZIPRA, would not train together and, when they met in the field, they fought even more bitterly. Their strategies also differed markedly. ZIPRA's strategy, as has been discussed, was to rob ZANLA of victory at a decisive moment. ZIPRA deployed three thousand men in Rhodesia as a vanguard preparing the way for the conventional army. ZANLA responded with an offensive into Matabeleland which ZIPRA countered by penetrating the tribal areas in north-west Mashonaland, threatening Salisbury from the north. ZIPRA was confident that it could recover any ground lost in Matabeleland when the time was ripe. Nkomo hoped, in addition, to dominate the partnership with Mugabe. However, the Rhodesian security forces, using their air power and paratrooper assets in 1979, destroyed ZIPRA's munitions and stores in Zambia, and, by blowing bridges, limited its ability to move and deploy. ZANLA, with some 10 000 trained men within Rhodesia, persisted in its effort to secure political control of the Shona tribes. Despite those numbers, by September 1979 ZANLA was in dire straits in the opinion of its commander, Rex Nhongo, because of Fire Force, the external raids, the unease of the host country, and the effect of the deployment of the auxiliaries. Nhongo believed that ZANLA would have found it difficult to get through the next dry seasons of mid-1980. Peace came none too soon for ZANLA. To complement the war effort after the internal settlement of 1978, the Rhodesian politicians had to present a united front to the world and attain international recognition and the raising of sanctions. They failed. The Rhodesian approach to strategy lacked essential flexibility. While the security forces strove to contain the situation in expectation of a political solution, their military strategy was not tied in closely enough with the political effort. The Rhodesian politicians by 1979 had divided openly, while the Patriotic Front appeared united. Everything on Thatcher's promise of recognition. Once she chose the Lancaster House solution, Muzorewa's Government had few political options left and it was essential for it to improve its position by military means, using the strategic mobility of the security forces to exploit the situation in the neighboring countries. Perhaps because of British persuasion, this did not happen. In Zambia, President Kaunda was host to some 25 000 fighting men from ZIPRA, SWAPO and the South African ANC. His army was outnumbered and these foreign armies threatened Zambia's political stability. ZIPRA's conventionally-trained army was growing in size but, to succeed in an invasion of Rhodesia, ZIPRA had to establish a bridgehead across the Zambezi. They also needed air support to allow their armor and infantry to survive and to keep their supply line open. Nkomo was having pilots trained but Kaunda knew that their appearance would lead to the destruction of his airfields. The Rhodesians forestalled ZIPRA. They sank the ferry across the Zambezi at Kazangula and destroyed boats along the river and in Lake Kariba. Later in 1979 they mounted a coordinated attack on the secondary bridges in southern Zambia and cut Kaunda's railway line to Tanganyika by blowing the Chambeshi River bridge. They left the two bridges over the Zambeziat Victoria Falls and Chirundu. Left with only lines of communication running through Rhodesia, Kaunda was at Muzorewa's mercy. Zambia was truly a front-line state, right in the firing line. By mid-1979, FRELIMO in Mozambique was totally committed to supporting ZANLA. ZANLA used FPLM supplies while FPLM rotated 300 men into Rhodesia to bolster ZANLA. The storing of ZANLA arms brought a switch by the Rhodesians from attacking the transit camps, as they had done since in 1976 with deadly effect, to their Air Force destroying FRELIMO armories. The success of this effort forced FRELIMO to move their bulk stocks back out of reach to the coast, knowing that even the Rhodesians would hesitate to bomb Maputo. Mozambique, fearful of South African intervention, had to put up with a continuous Rhodesian presence in her provinces. The Rhodesians mined the roads to slow up the resupply of the ZANLA forces within Rhodesia and thereby caused numerous civilians casualties. By this means they forced ZANLA to curtail their operations because of difficulties of bringing in reinforcements, ammunition, weapons and supplies. The Rhodesian effort, however, failed to deter FPLM from supporting and reinforcing ZANLA. In September 1979, when the conference at Lancaster House was underway, the Rhodesian forces enjoyed a change of fortune which allowed them to add to the pressure on Mozambique being applied by RENAMO which was operating effectively in the Manica, Sofala and Tete Provinces, attracting many recruits from within FRELIMO. RENAMO, greatly assisted by the Rhodesians, scored a number of successes, attacking the Revue Dam, the Beira fuel farm and cutting road and rail links. The new pressure came out of reaction to a threat to Rhodesia's lifeline to South Africa - the Ruttenga-to-Beit Bridge railway line. Fearing that FPLM/ZANLA forces massing at Mapai just south of Rhodesia's southern border would be used to assist ZANLA in establishing a 'liberated zone', the Rhodesian and South African raiders on 'Operation Uric' cut five major bridges deep in Mozambique, including the rail bridge across the Limpopo River at Barragem. The main FPLM bases in the area were subjected to air strikes. At the cost of some casualties, Operation Uric drove FPLM further onto the defensive, severely damaged their communications and supplies, and prevented ZANLA from consolidating their hold on the tribal areas on the border. The aim was not to damage the Moambican economy but the raid, as well as delaying the movement of war material forward, also cut the main food growing area off from its markets. The upshot was that Samora Machel was desperately keen to see a settlement in Rhodesia and he persuaded a somewhat reluctant Mugabe to attend the Lancaster House conference. The combination of political and military pressures had worked but Muzorewa's Government failed to pursue this strategy. In November, Operation Manacle was cancelled when the troops were on the start line. Manacle would have destroyed every major bridge in the Tete, Sofala, and Manica Provinces, cutting ZANLA's supply lines. As well as further upsetting Machel, it would have gravely weakened ZANLA and therefore Mugabe. The political strategists, though, were out of step with the military and Manacle was aborted on the advice of Ken Flower, the Rhodesian chief of intelligence, leaving the military doubting the loyalty of Flower. The British worked hard and skillfully at the Lancaster House Conference to divide Muzorewa's delegation and succeeded. Muzorewa offered concessions to appear reasonable and to get the conference over fast in order to have an early election before ZANU and ZAPU could establish their support amongst the electorate. Instead, he should have copied the Patriotic Front and delayed to allow his forces to strengthen his hand. The Patriotic Front prolonged the conference to enable their internal parties to emerge legitimately and to build up their support. Delay also was used to prevent the Rhodesian forces from gaining the strategic ascendancy. As they dallied, political pressure from the British meant that the program of external raids was curtailed and eventually cancelled. Delay also allowed ZANLA and ZIPRA to recoup their losses. Russia intruded and began to supply ZIPRA with war supplies in bulk. The strategy of delay perfectly suited the conditions and fatally weakened Muzorewa's position. The Patriotic Front used the threat of withdrawal to gain concessions but, with Zambia and Mozambique insisting that they settle, these threats sounded hollow. The Patriotic Front's gain was that it retained its freedom of action which Muzorewa did not. The British drove through their solution. Most difficult to arrange was a cease-fire, but in the end a plan for the gathering of the insurgents into assembly points and the monitoring of them by a British-led and dominated Commonwealth force was accepted. Until a government had been elected, a governor, Lord Soames, was to exercise executive and legislative power. Smith predicted that the outcome would be a transference of power to Mugabe. The British and everyone else pinned their hopes on a hung election and a coalition which would feature Muzorewa, Nkomo and Smith. It is curious that the Muzorewa Government accepted the cease-fire arrangement without any adequate mechanism to prevent the inevitable violations. Furthermore, the assembly point arrangements favored the Patriotic Front. ZIPRA used the cease-fire to establish a series of heavily defended strong points to constitute the bridgehead for the force with which they hoped to recover the initiative from Mugabe. ZANLA ignored the restraints imposed by the cease-fire. They kept a significantly large proportion of their forces outside the assembly points while sending in mujibas (young supporters) to make up the numbers expected. ZANLA infiltrated 8 000 guerrillas into the eastern border area alone. They brought in large quantities of arms and ammunition and cached them near the assembly points. Inside the assembly points the mujibas were given intensive training. Thus ZANLA managed to re-stock with arms and ammunition and to treble the strength of its forces inside the country. The guerrillas outside the assembly points went to work on the population to ensure victory at the polls. The plan worked. The Commonwealth forces were too weak to intervene and there was nothing that Muzorewa's Government could do but protest to the British Governor, Lord Soames, after he arrived in early December. Soames rejected demands for the disqualification of Mugabe's ZANU(PF) or the declaration of the result as null and void. General Walls approached Mrs. Thatcher but was ignored. The signs of what was going to happen were clear even if few of Jugabe's opponents wanted to believe them. Neither Mozorewa's UANC nor Knomo's PF(ZAPU) could hold meetings in the Victoria Province or in Mashonaland East. The British, however, had come so far that they were not prepared to turn back. They would pretend that what had happened was for the best. Mugabe's trump card was to threaten to continue the war. When the election was held Mugabe, to his evident surprise and the dismay of his opponents, was the outright winner with 57 seats. Securing only three seats, Muzorewa was eclipsed, Sithole was eliminated, gaining none, and Nkomo only secured 20 in his traditional areas of support. The whites were taken aback because they had thought that Muzorewa stood as good a chance as any. Furthermore, the white males, called up to protect the election, had been assured by General Walls and his senior officers that Mugabe would not be allowed to take power even if he won the election. He would be eliminated, it was hinted, in a coup. As has since been revealed the demise of the ZANLA/ZIPRA command was plotted with precision and assaults on the assembly points planned and, in one case, rehearsed. On the day the election result was announced, 4 March 1980, key points were seized by Rhodesian forces but the order to act never came. Whether 'good sense' prevailed or doubters hesitated, is not known. Officers trained in the British tradition, and from British stock, are virtually programmed against illegal action. It is something that they never contemplate. The consequences of a coup, of course, are incalculable. Even with the elimination of the leadership would a replacement African leader have been found? And the world was hardly likely to accept him. Instead, Soames embraced Mugabe as the winner and the Commonwealth Monitoring Force extricated itself rapidly from its exposed and dangerous position in the middle. The whites were left to vote with their feet, leaving the Africans to endure Mugabe's bungling 'scientific socialism' and all that it entails. Command and Control: There was a political failure to provide the services with a properly unified and integrated command of all the nation's resources. The higher levels of joint command were never properly reorganised but on the ground the JOC system ensured tight co-ordination of effort between the variety of forces and agencies. Intelligence: Time and resources are never wasted on the gathering and exploitation of intelligence. There was not enough exploitation of intelligence gained or enough effort put into the gathering of intelligence. The gathering of intelligence was handled by too many agencies and its analysis was not centered in Comops's hands but in those of the CIO who were essentially policemen. Crucial intelligence often did to reach the right people. On the other hand, intelligence operators were in the field and would examine a field of action immediately. Leadership: The regular army had begun as a staff corps established by the police force and had retained, until Federal days, one unfortunate characteristic - anyone joining it, joined as a corporal and then rose through the ranks. This stultified the intellectual development of the army. Only in 1955 did the Federal Army sent 19-year-olds to Sandhurst. Thus the higher echelons of the army in the sixties comprised former corporals, including General Walls. The result was that the leadership was undistinguished and unimaginative in contrast with the junior leaders from the rank of major down. Ian Smith made the mistake of not understanding this and intruding to promote on merit rather than on time served. The decentralization of command, even to the corporals, however, was commendable because it saved unnecessary delays. The local commander could act and then report. There is the obvious failure to provide early a political system which could unite the people of the land and this inhibited psychological operations. A crucial failure was not to take into account the needs and feelings of the African population in the prosecution of the war, particularly when implementing civic action programs such as the protected villages and food control. Too often military action not only alienated the rural people from the Government but also put them in jeopardy, facing reprisals from the insurgents. This made it difficult to win over the people when the right to vote was finally given to them. In attempting to adopt the 'US preferred model', the Rhodesians demonstrated that, in the end, a system of government will only survive if it has the support of the governed. They showed also that a successful COIN campaign equally has to have that support. What is needed is clarity in the political aim, including the ability to win the support of the people. A national aim is needed and a clear strategy to obtain it. Success in COIN does not depend on unlimited finances. The Rhodesians maximized the resources they had. It was rare that an asset was wasted. Ground gained, by Fire Force action, for example, needs thereafter a security force presence which the auxiliaries supplied towards the end to a limited extent. The auxiliaries were an initial success and maintained a sufficient level of threat to worry seriously the ZANLA hierarchy. The mistake made was not to continue to recruit in the tribal areas, train the recruits and send them back to their areas to provide protection. Instead, the unemployed from the towns were increasingly recruited and then deployed where they had no local affinities. When weapons are used, they have to maximize the enemy's casualties and minimize those of civilians so that the population is not alienated. Thus training should emphasize marksmanship with all weapons - including the delivery of weapons like napalm. The Rhodesian Frantan could be delivered precisely, for example. The Pookie, the pseudo groups, the Grey Scouts prove that lessons from other eras can be valuable. In the area of special operations, the Rhodesians proved themselves more than equal to the task with combined air and ground forces working up a close rapport. Yet the special forces were too often diverted from the tasks which are properly theirs to supplying strike forces for camp attacks, for example, and the like. By concentrating on tactics and surprise - at which they showed brilliance - the Rhodesians forgot strategy. Yet they still came close to winning.